You know the sensation: An hour into your ride you start feeling some tingling in your hands and up into your fingers. You shake them out, hoping to relieve the dull ache, but it doesn’t seem to make a difference. What do you do? Many cyclists—from novice to pro—experience hand numbness from time to time. 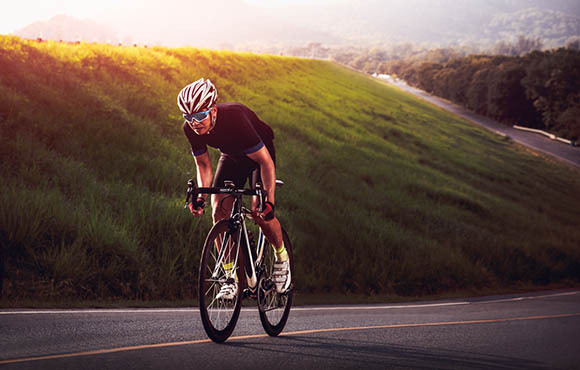 Compressed nerves in the shoulder, elbow or wrist can cause a tingling feeling that can take several hours to dissipate after your ride is over. 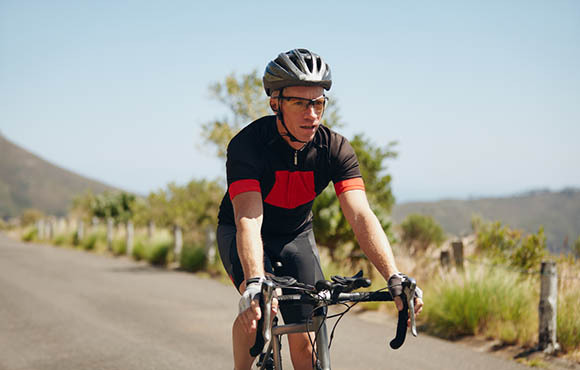 While these tricks may not permanently prevent the problem, they can help alleviate or reduce numbness when on the bike. Take your weight off your arms. 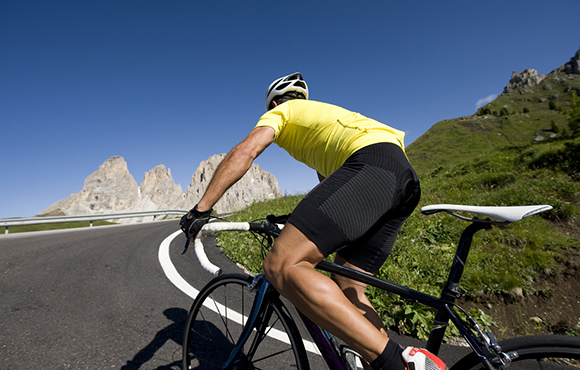 Whether you're aware of it or not, it's easy to fall into a habit of sitting in a more forward position on the bike. Next time you head out, think about sitting back on the saddle and use your core (instead of your arms) to support your body. If you find this challenging, throw in the occasional core workout to your training plan to help build strength in this critical area. 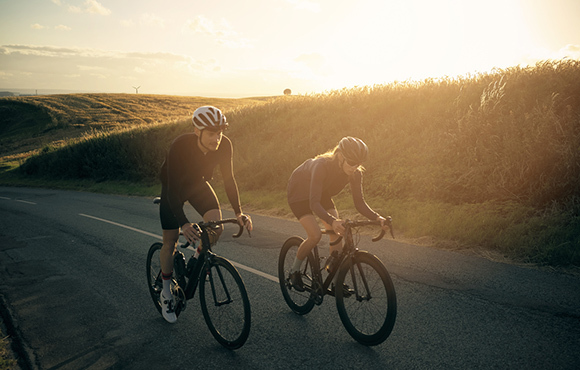 The standard road bike has three distinct hand positions: the drops, the hoods and the tops. 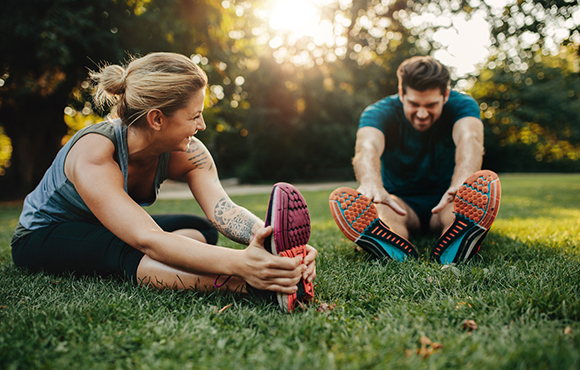 Each has their own advantage in certain situations, but it's important to keep your hands moving between the three to keep blood flowing and take pressure off certain nerves. Don't spend too much time in one position. 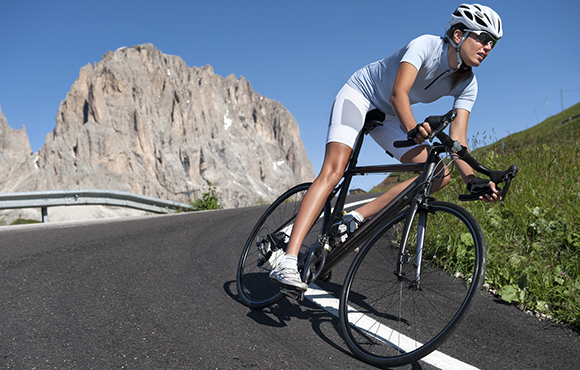 This one may be surprising, but tires can have a huge impact on your overall ride experience. More expensive tires have softer rubber that dampens road vibrations. Similarly, you can size up to tires with a 25mm or 28mm diameter for a smoother, softer ride with less PSI. However, check your bike's clearance and make sure it can handle the size increase without rubbing on the fork or brakes. Locking out your elbow while riding is never a good idea. Ride with a slight bend in the elbow instead of riding with your arms stretched out straight. The bend can help absorb shock and road vibrations and is ultimately more comfortable. If this doesn't feel comfortable, it might be time to get a professional bike fit. Sure, road bikes are highly sensitive and have squirrely handling, but you don't need to white-knuckle your handlebars when pedaling around town. 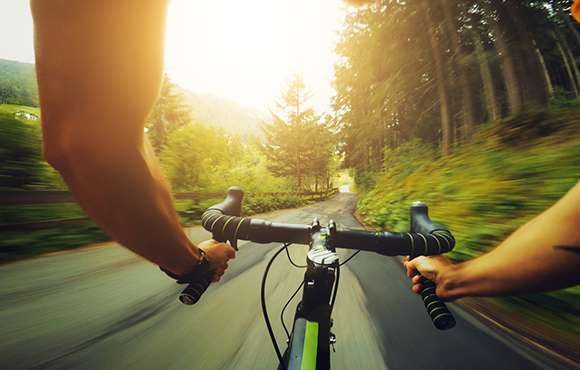 Gripping the handlebars too tightly creates tension that can make your hands go numb. If this sounds like you, the fix is simple: Relax and move your fingers. Not only will numbness subside, but you'll enjoy your ride more. Buy a pair of cycling gloves. 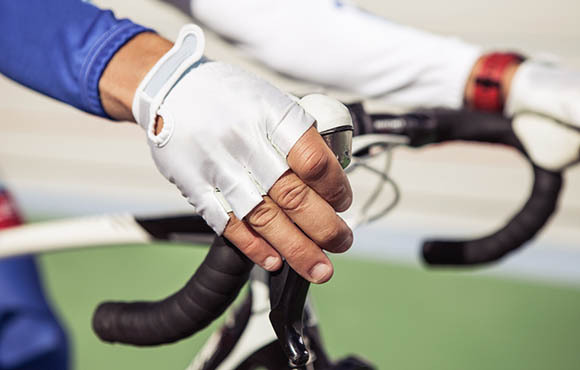 Similar to double wrapping your bars, cycling-specific gloves have built-in padding that protects sensitive pressure points and nerve endings from road vibrations when out on a ride. Better yet, they can help prevent road rash if an unfortunate spill occurs, and they usually have tacky strips that improve your grip as well. 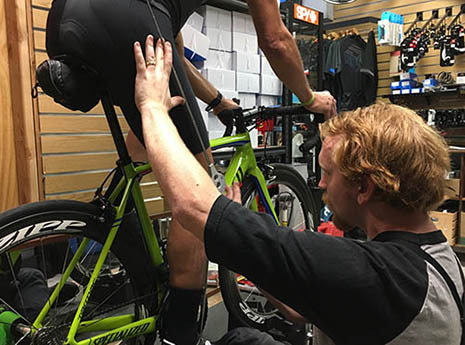 Get a professional bike fit. 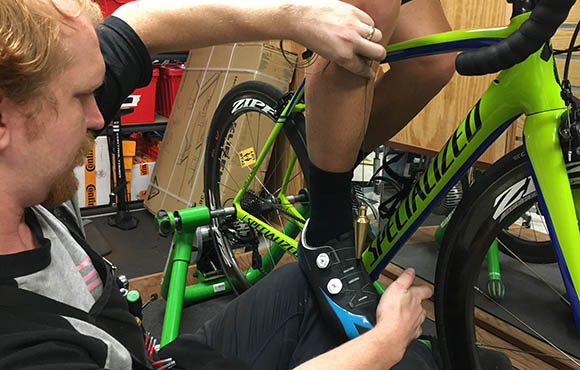 Whether your hands are numb or not, getting a professional bike fit is important for all cyclists. Your bar height and the angle of your shifters can impact your riding position and ultimately cause numbness in your hands if not correctly positioned. Shift your body position back on the saddle to alleviate the weight on your wrists and hands. Your saddle angle and height can have a similar effect. Make sure to communicate your needs to your fit expert before you start the session. Alberto Contador doesn't double wrap his bars for looks—two sets of bar tape can dramatically reduce the vibrations your hands absorb from the road. Not only does it help reduce numbness, but the extra cushioning is just more comfortable, too. Cycling is a repetitive sport, so mobility and imbalance issues can sneak up on you before you know it. Working on your range of motion and flexibility on a regular basis can help alleviate numbness both on and off the bike. Try forearm stretches, wrist rolls and shoulder rolls to strengthen and improve flexibility over time—before and after a ride.